Recent Nobel Prize winner Richard Thaler tells a compelling story about human response to temptation. He was hosting a dinner-party at his home, and while his guests were waiting with cocktails for the meal, Thaler put out a bowl of cashews as a light snack. Unexpectedly, a cashew feeding frenzy broke out. Thaler soon realized that there weren’t nearly enough cashews for the hungry herd. Worried that his guests would spoil their appetite, he whisked the bowl away to the kitchen. When he returned, something unusual happened. His friends thanked him! They knew that eating the cashews would spoil their dinner, but they needed the temptation removed. Being a group comprised of graduate students studying behavioral economics, the group began discussing their odd behavior. A conversation erupted about human behavior in the face of temptation. They began to realize that we have much less self-control than we think we do. Thaler later unpacked these observations about temptation, highlighting that we give into shortsighted pleasure at the cost of long term benefit. From eating huge quantities of stale movie-theatre popcorn drenched in nauseatingly artificial butter, to smoking cigarettes despite knowing the health risks, to neglecting to join a retirement plan because money in the pocket feels nicer than a heavily subsidized company savings plan, human beings knowingly opt to make poor choices. Think about the biblical Eve, who sacrifices paradise for a mere apple. We might also point to our forefather Isaac, who favors his hunter son Esau over his bookish son Jacob simply because ציד בפיו, Isaac had a taste for game. You might feel disheartened about the magnitude of human propensity towards bad decisions. But Thaler offers us some great wisdom in his book called “Nudge.” That is, behavior can be directed for better or worse through simple incentives that he refers to as “nudges.” Nudges are the low-hanging-fruit of encouraging steps that we can take to direct our behavior, and the behavior of others. In parashat Toldot, Jacob convinces his brother to squander his birthright (the entire inheritance of his father’s estate) for a mere bowl of red lentils. We have already established human proclivity to acting against our long time interests, so it should come as no surprise that the temptation of food can be used to nudge Esau to make a terrible choice. If you are thinking that Esau is merely a dumb brute, think again! Esau is human. Esau is us. Let me give you an example. You have told yourself that you are going to eat healthy tonight when you go out to dinner with your friends. You even order the healthiest thing on the menu, a garden salad. As you begin to pat yourself on the shoulder, the waiter asks if you want a drink. You’re ready to say “I’m fine with water,” but before you can, your friends decide to order a bottle of wine. You may have decided previously that you were not going to drink, but if you don’t partake, they’re not going to finish the bottle! All of the sudden, you’ve made a poor choice. The wine is there, and you think to yourself: “it would be silly for me not to have a glass.” Before your salad arrives, the waiter places a basket of fresh bread at the center of the table. How could you not just take a small nibble? Then later in the evening, the waiter comes around with the dessert menu. You think to yourself: “I’m really too full.” Your friends entertain the idea of just taking a peek at the menu. Just when you’re about to ask for the check, your friends decide that they are going to order several desserts for the table. Of course, when the waiter brings a bowl of ice-cream, bread budding, and a mammoth piece of chocolate cake, he places a spoon in front of you. Can you really resist the temptation of a bite? Before you know it, your healthy intentions have lost out to temptation. And this is where Thaler comes in, and offers us some great advice. Create incentives for good behavior, and more importantly, set up nudges and simple systems to nudge you toward better decisions. Not to diminish the importance of Thaler’s work, I feel the need to point out that some of his ideas sound strikingly similar to Jewish wisdom. The rabbinic sages teach in Mishnah Avot that we should “ עֲשׂוּ סְיָג לַתּוֹרָה, build a fence around the Torah. (Avot 1:1)” In other words, protect and fortify not just Jewish law, but Jewish values and ethical behavior. And just as Thaler suggests small ways of doing so, our sages offer us some sweet low-hanging-fruit. Why for example do Jews wear a tzittzit (the fringes of a tallit)? וּזְכַרְתֶּם אֶת־כָּל־מִצְוֹת יְהֹוָה וַעֲשִׂיתֶם אֹתָם so that you should remember all of God’s mitzvot and do them. (Numbers 15:39). 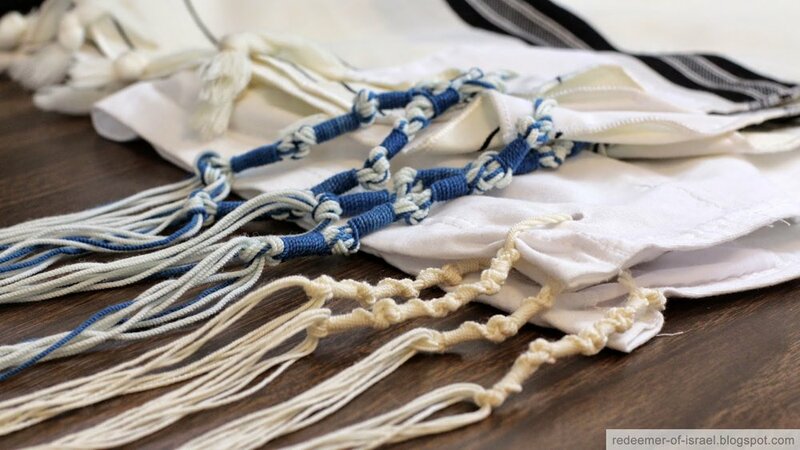 Tzitzit are nudges towards mitzvot. The rabbis tell a story in the Talmud about a man who had a liking for the temptations of the flesh, that is to say, he had a vice for prostitutes. This Jewish man once tracked down one of the most expensive and famous prostates in the land. As he started to undress in her presence, his tzitzit brushed against his face. He remembered the mitzvot, became conscious that was doing was not just wrong, but going against the grain of how he envisioned living a life of Torah (Menachot 44a). By the same token, every time you walk past a mezzuzah, you’re suppose to remember that you are bound to mitzvot, and that your values as a Jew are affixed to your home, the very foundation of your life. In every room within your house, you should be living the values of being a Jew and making conscious choices leading down the path of Torah. Why wear a Kippah? according to Joseph Caro, perhaps the most important legal mind in Jewish history, it’s so that so you should remember that the divine presence is over your head. If you are walking on the street with a Kippah, you become conscious that your actions are being judged not just by God, but by the world around you that has a spotlight on your Jewishness. There is a story in the Talmud related about a boy who the rabbis thought would become a thief. To prevent her son from going down this road, she didn’t alow him to uncover his head. She said to her son: “Cover your head so that the fear of Heaven will be upon you.” When one day his kippah fell off, he was overcome with an urge to steal (Shabbat 156b). The kippah, in other words, is a ritual nudge toward living an ethical life. These Jewish nudges will not just help you live a more Jewish life, they may even act as incentives to make good life choices. Whether your nudges are Jewish or non-Jewish, it’s not enough to just have lots of will-power. The world is filled with temptations that will eat away at even the best of your intentions. If I haven’t yet made the case for the power of temptation, I’ll sum it up very simply: No one’s will power is impervious to a well-placed piece of chocolate cake. But never underestimate the power of a nudge to lead you away from the cake, and toward Torah.